Fragrance has the power to change every ones mood so usually people love to wear fragrances like Police Pure Perfume Gift For Her with Complimentary Mother's Day Card. Smelling good is not only boosts your appeal but also enhances your self-confidence. 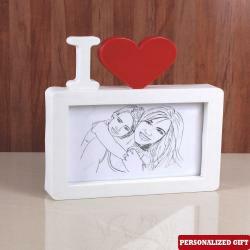 It is a skin care gift for your sweet mom which is sure to bring a smile on her face on any gifting occasion via Giftacrossindia It is very special to know the love and care hidden behind an introvert person so make the same feelings of happiness for your mother this is a simple reason to make believe to your mother how much special she is for you. 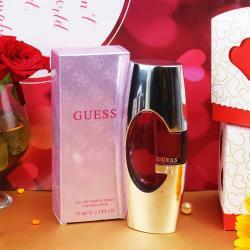 This gift combo should be the best bet for Mother's Day, Birthday, Anniversary and Many more.. Giftacrossindia.com brings to you this awesome gift items like Police Pure Perfume Gift For Her with Complimentary Mother's Day Card, which is all set to make your special someone feel more special. Browse your favorite products, it is very conveniently available for online shopping from anywhere in India with Free Shipping. Product Includes : Police Pure Eau de Toilette pour femme Natural Spray Perfume (Weight : 75 ml) along with Complimentary Mother's Day Greeting Card.